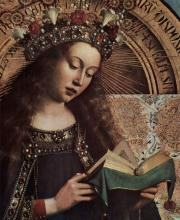 Hubert van Eyck (also Huybrecht van Eyck) (c. 1366–1426) was a Flemish painter and older brother of Jan van Eyck. 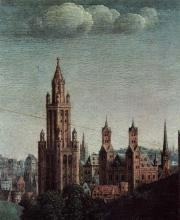 The date of his birth and the records of his progress are lost amidst the ruins of the earlier civilization of the valley of the Meuse. 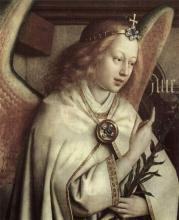 He was born about 1366, at Maeseyck (now Maaseik, Belgium), under the shelter or protection of a Benedictine convent, in which art and letters had been cultivated from the beginning of the 8th century. 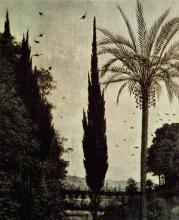 But after a long series of wars—when the country became insecure, and the schools which had flourished in the towns decayed—he wandered to Flanders, and there for the first time gained a name. 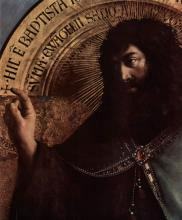 As court painter to the hereditary prince of Burgundy, and as client to one of the richest of the Ghent patricians, Hubert is celebrated. 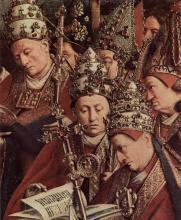 Here, in middle age, between 1410 and 1420, he signalized himself as the inventor of a new method of painting. 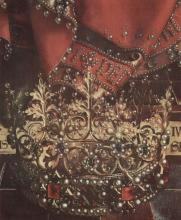 Here he lived in the pay of Philip of Charolais till 1421. 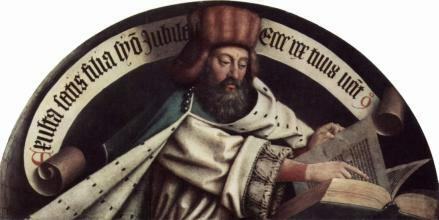 Here he painted pictures for the corporation, whose chief magistrates honoured him with a state visit in 1424. 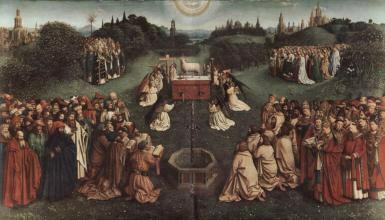 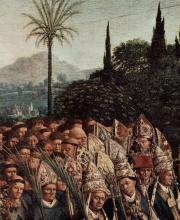 His principal masterpiece, the Ghent Altarpiece (see picture below), commissioned by Jodocus Vijdts, lord of Pamele, is the noblest creation of the Flemish school, a piece of which we possess all the parts dispersed from St Bavon in Ghent to the galleries of Brussels and Berlin,—one upon which Hubert laboured until he died, leaving it to be completed by his brother Jan van Eyck. 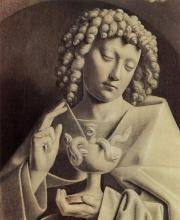 Almost unique as an illustration of contemporary feeling for Christian art, this great composition can only be matched by the ”Fount of Salvation,” in the museum of Madrid. 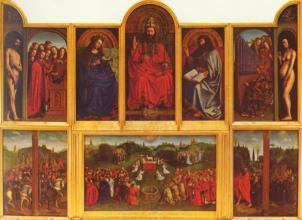 It represents, on numerous panels, Christ on the judgment seat, with the Virgin and St John the Baptist at His sides, hearing the songs of the angels, and contemplated by Adam and Eve, and, beneath him, the Lamb shedding His blood in the presence of angels, apostles, prophets, martyrs, knights and hermits. 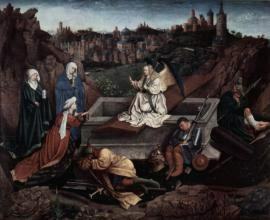 On the outer sides of the panels are the Virgin and the angel annunciate, the sibyls and prophets who foretold the coming of the Lord, and the donors in prayer at the feet of the Baptist and Evangelist. 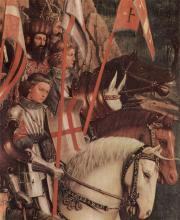 After this great work was finished it was placed, in 1432, on an altar in St Bavon of Ghent, with an inscription on the framework describing Hubert as “maior quo nemo repertus,” and setting forth, in colours as imperishable as the picture itself, that Hubert began and Jan afterwards brought it to perfection.